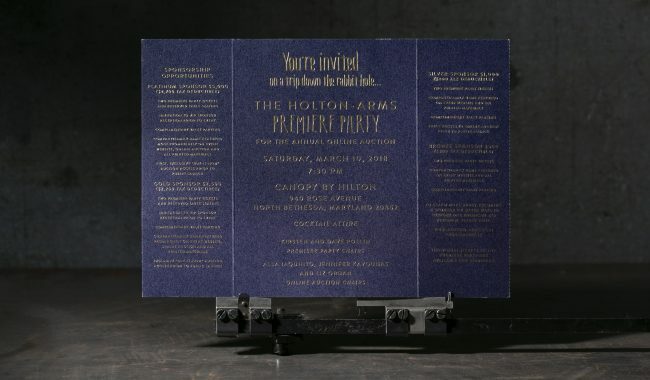 Printed a run of 875 invitations. 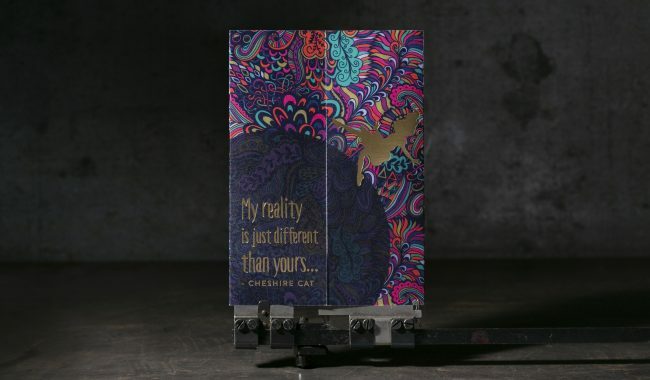 They were 10″ x7″ flat, and gate folded to 5″ x 7″. 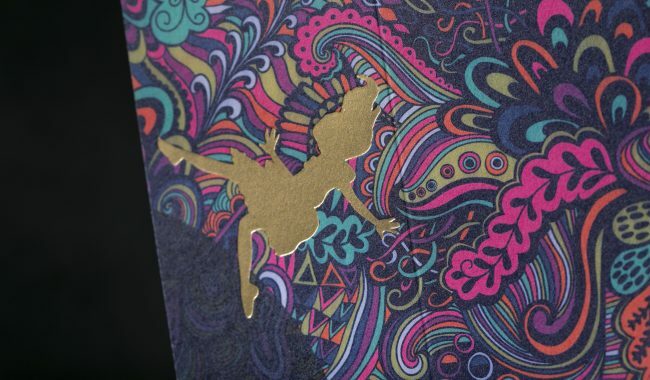 The outside was a vibrant CMYK design with Gold Matte Foil accents. 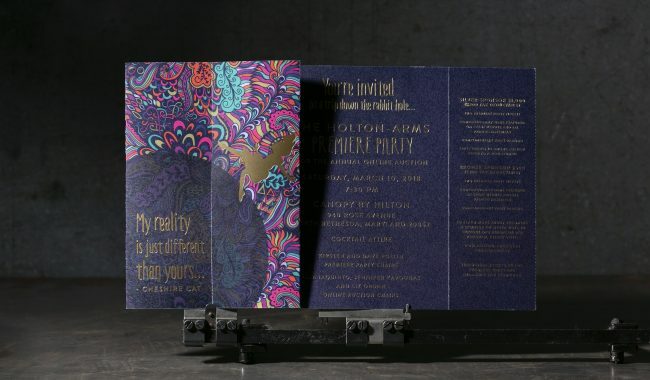 The inside was digitally printed to match a deep navy and all text was foil stamped with Gold Matte.